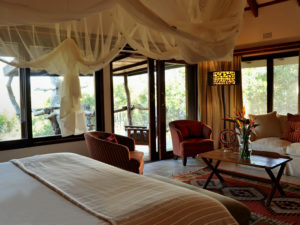 Blending affordability with experience, Idube Lodge is one of the original Sabi Sands camps & offers classic Big 5 game viewing & unpretentious comfort. 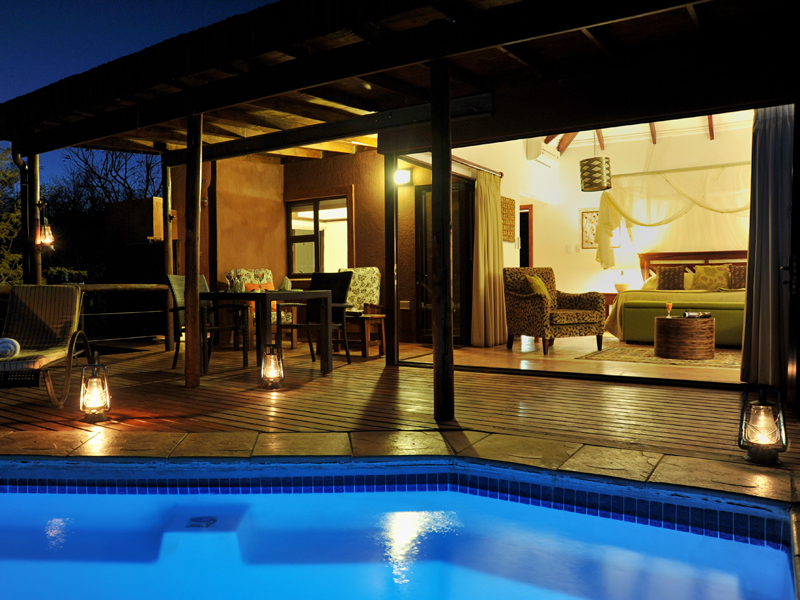 Family-owned Idube Lodge delivers affordability without sacrificing experience. 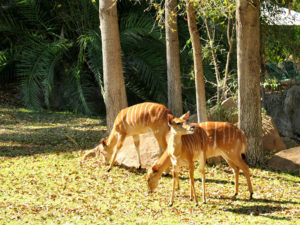 Set at the heart of the Sabi Sands Private Reserve, its ten cottages lie surrounded by green lawns on which antelope and warthog graze. 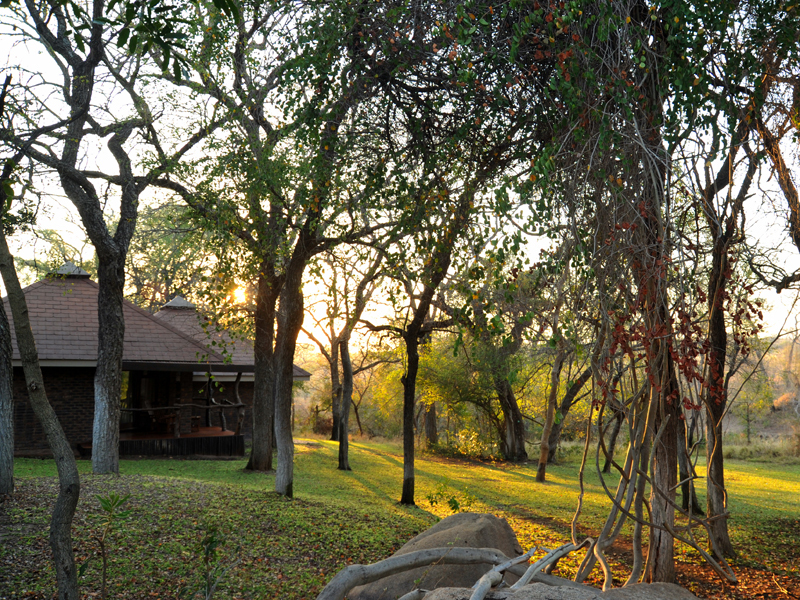 Shady trees ring with birdsong and you can begin your game viewing simply by sitting in a comfortable chair at the lodge or on your deck. Big 5 game viewing waits however. 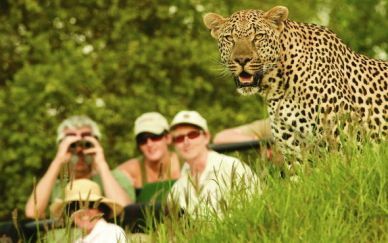 In the company of an expert guide and sharp-eyed tracker you’ll explore the Sabi wilderness on morning and afternoon games drives. Night drives and guided walks complete the experience. Photographers will want to stake out the waterhole’s underground hide; those interested in community affairs can enjoy an insightful visit to a local village. 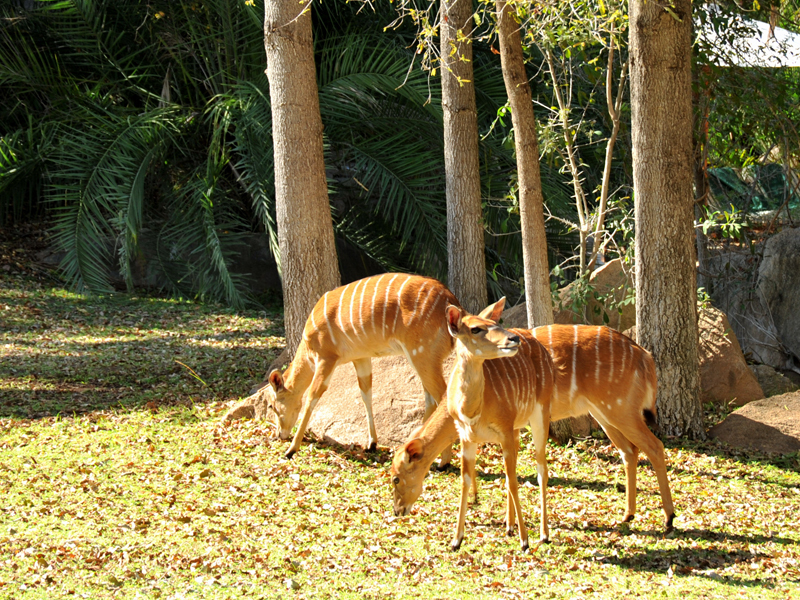 Idube has a classic safari feel. 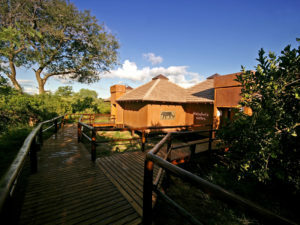 Timber and thatch dominate the main lodge, which offers a pool and convivial bar. Massages can be arranged on request and guests have access to a fitness room. 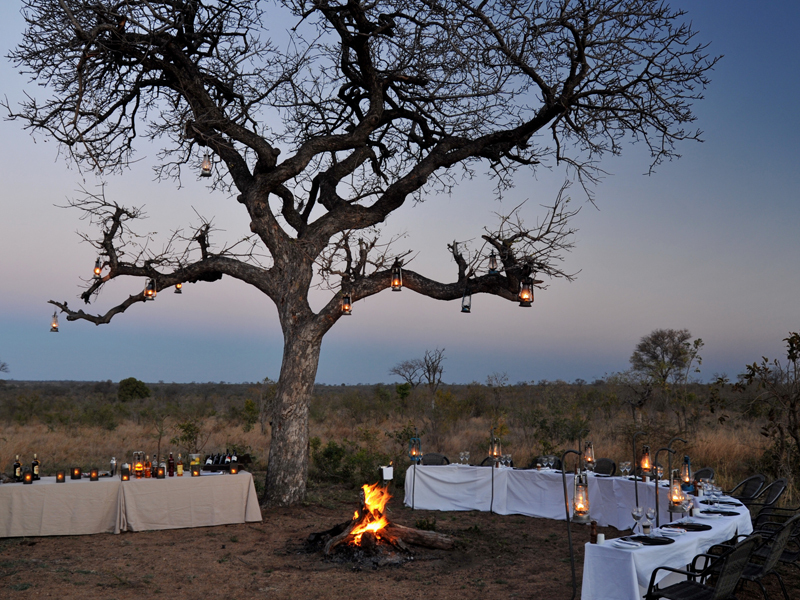 Meals are served under starlight as often as possible and may also be enjoyed away from camp in a candle-lit grove. 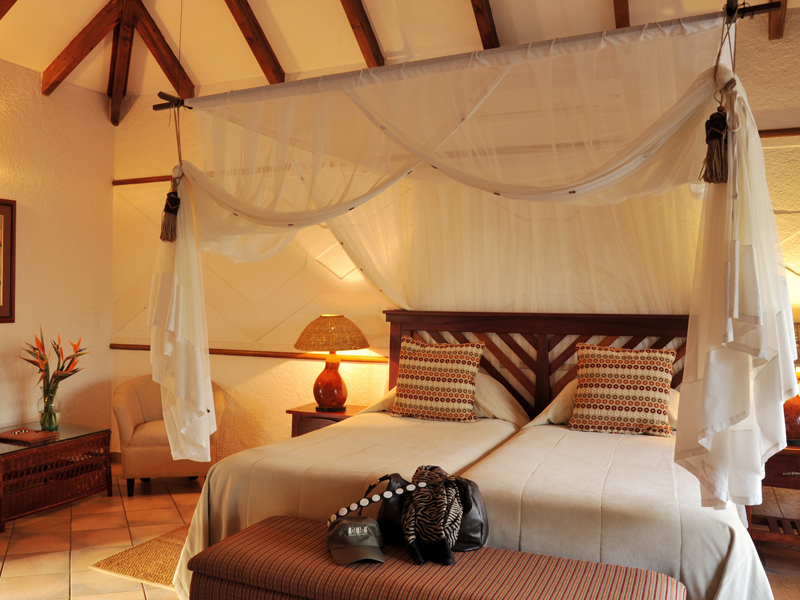 Idube’s 10 chalets are each air conditioned and equipped with every convenience. 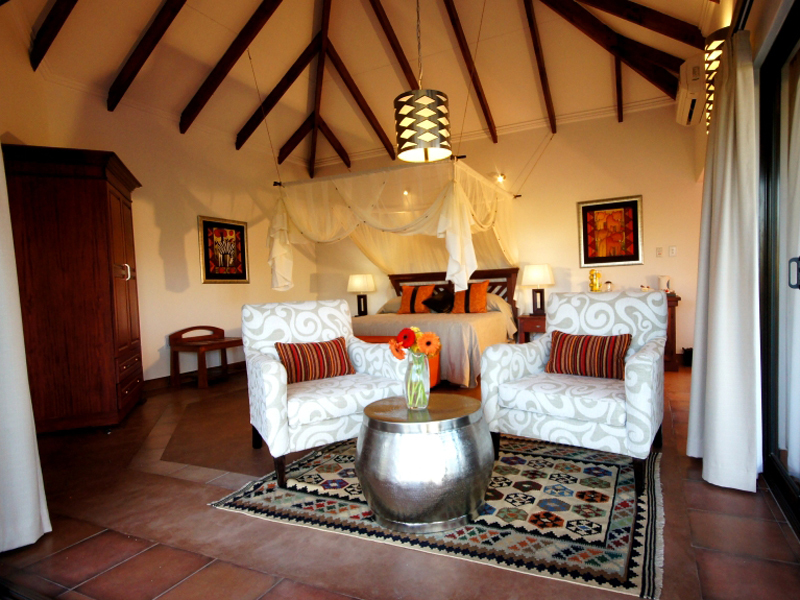 A large netted twin or double bed takes centre stage with a fully en suite bathroom ensuring complete comfort. 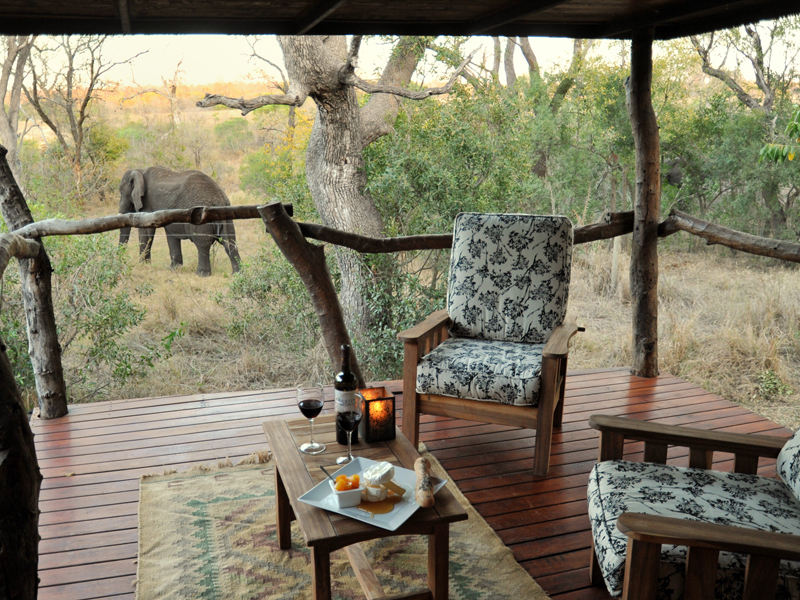 A mini bar and tea/coffee station provide refreshments for you to take onto your viewing deck, provided with a pair of comfy armchairs. For romantic couples, the two Makubela Suites offer more privacy. 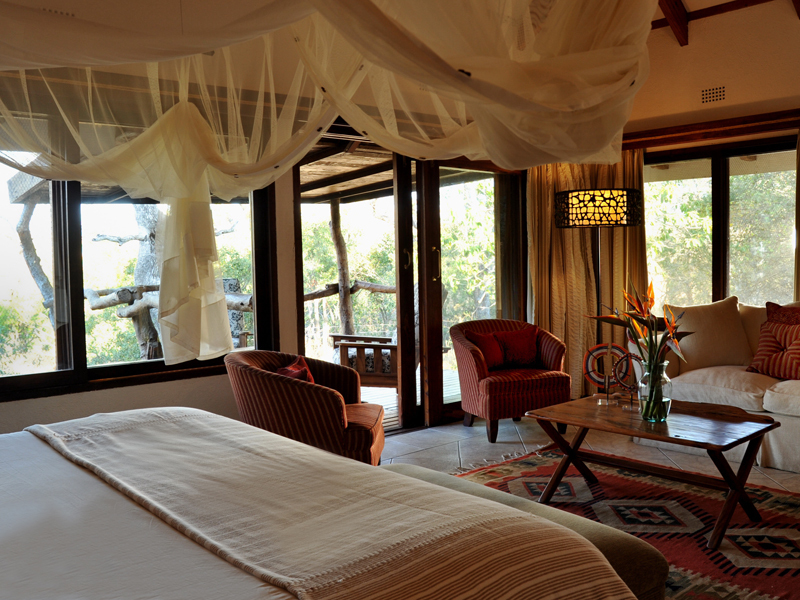 Tucked away on the edge of the camp, these large suites feature a lounge, large bathroom and outside shower. 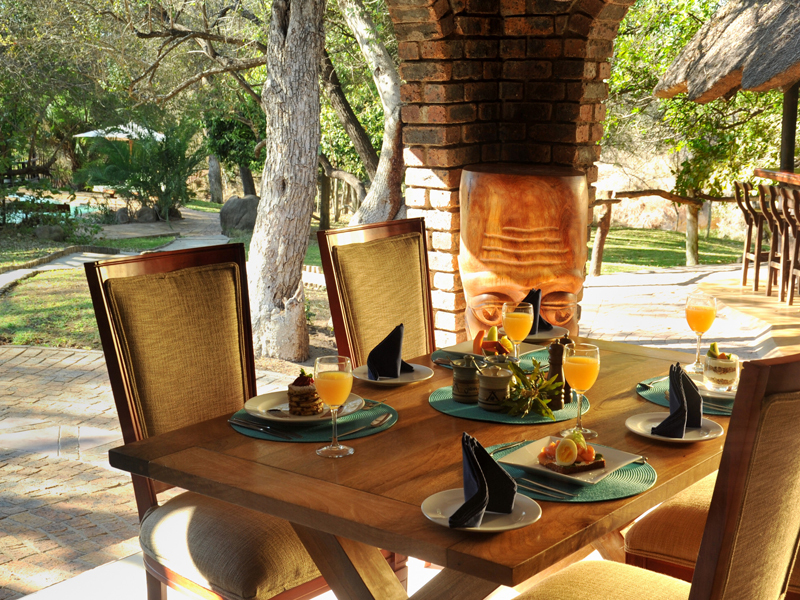 Meals can be taken by lamplight at the suite. 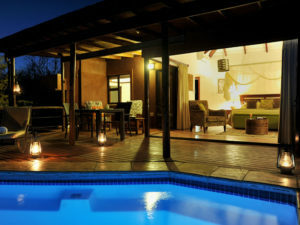 The suites can be made inter-leading which makes them ideal for families or friends, especially as they enjoy the advantage of a large viewing deck and private plunge pool. 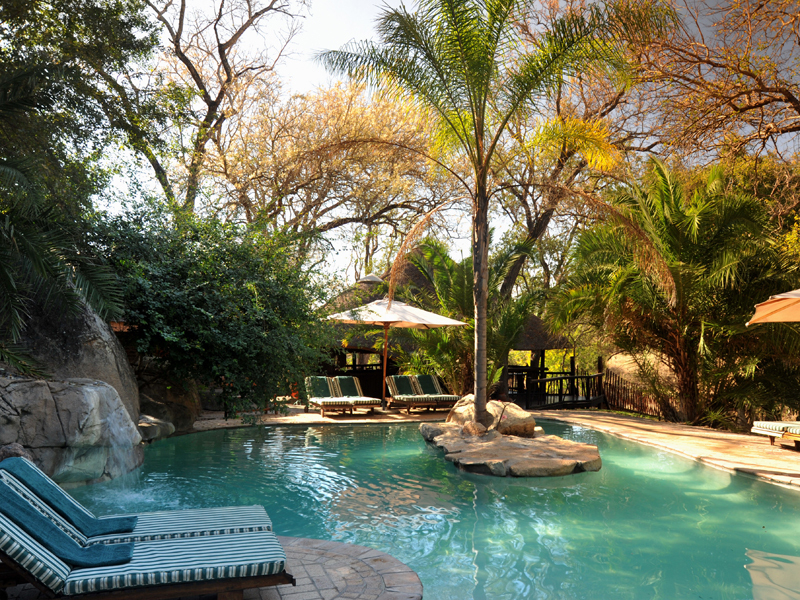 Idube Lodge has a generous range of facilities. 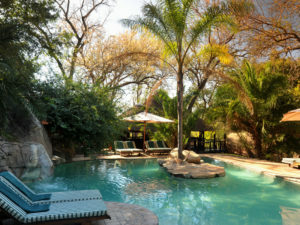 You’ll enjoy the use of a sparkling swimming pool and well-equipped fitness room, with a curio shop providing a diversion or two. 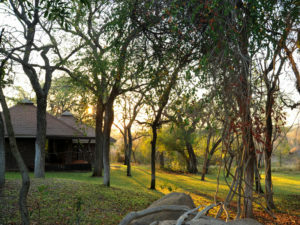 The main lounge and bar are popular places to meet and swop stories of the day’s game viewing, and a night at Idube wouldn’t be complete without fireside stargazing at the outdoor boma. 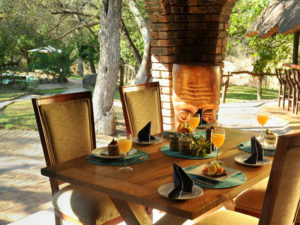 Meals are served in the main dining room or outside under the stars. 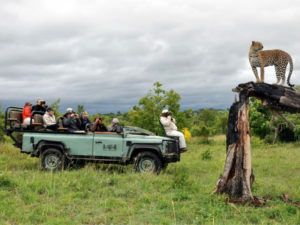 Game viewing by 4X4 is the main focus at Idube. Morning game drives are balanced by late afternoon drives that blend into spot-lit night drives, your chance to see rare and unusual nocturnal animals. 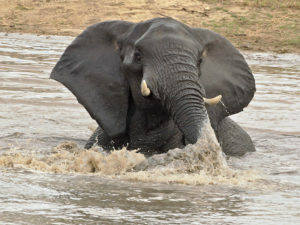 The heavyweights are well represented here – the Big 5 are in abundance and the general game viewing is great all year round. 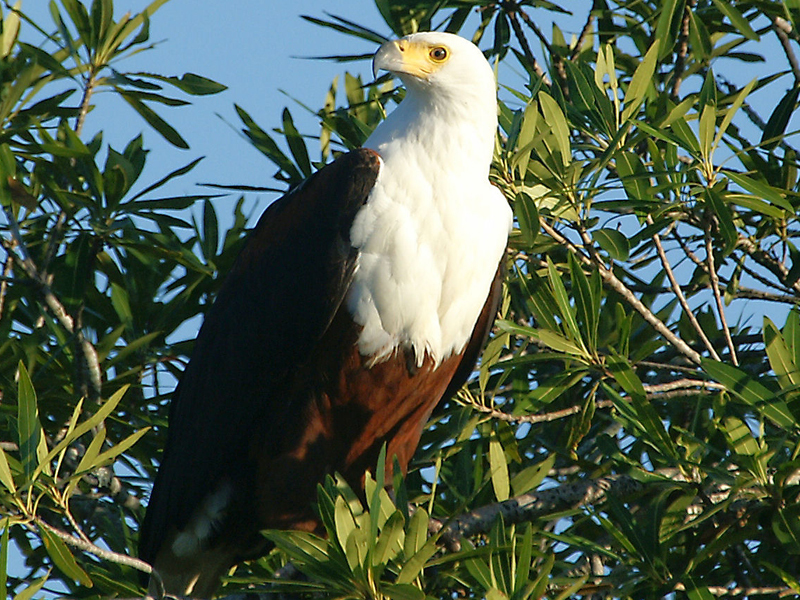 You’ll also have the opportunity to accompany your guide on nature walks, the best way to see the smaller details of the Sabi landscape and do some epic bird watching. Photographers will be keen to spend some time in the underground hide, set next to the camp’s productive waterhole. 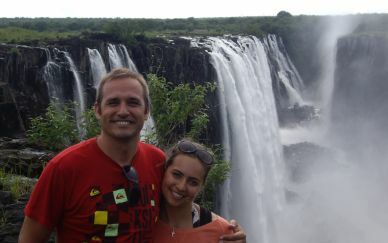 For a different take on the environment, join a cultural tour and visit the local community. 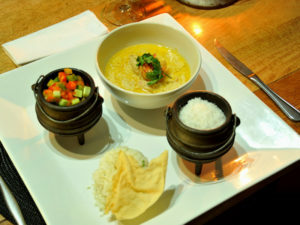 You’ll enjoy a taste of African cooking and can sit back to traditional dancing and a school choir. 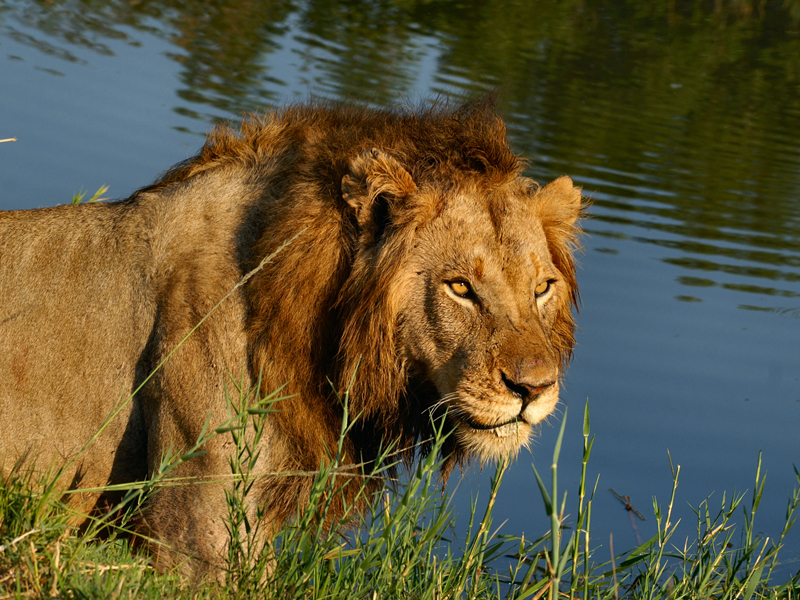 Sabi Sand Rhino Conservation Levies.